Ruthanne Cecil passed away unexpectedly at her home in Arcata, California on February 13, 2018. She was born in St. Paul, Minnesota, on September 15, 1945 to Lester and Ruth Josephs, joining her older sister, Beverly. She is survived by her son, Donovan Cecil (Annie); Donovan’s ex-wife, Alicia Renata; grandsons, AJ Mcreynolds and Devon Cecil (Amorette), as well as her sister, Beverly Galvan, of Portland, OR. Also grieving her loss are her dear friends Cynthia Packard, Nathan Muus, and Lillian Hoika. She came to Humboldt County,California in 1974, fell in love with the area, as so many did, and bought property in Ettersburg. She was very proud of having built her cabin while trying to go back and forth from the Bay Area, settling here permanently in 1976. She was a very active member of the community, serving in many organizations over the years. She was a founding member of EPIC (Environmental Protection Information Center), worked on the Redwood National Park Trails project with RCDC (Redwood Community Development Council), and published a newspaper (the Country Activist). She also served as Executive Director of CEED (the Center for Environmental Economic Development), and helped with many other groups that protected our local environment. 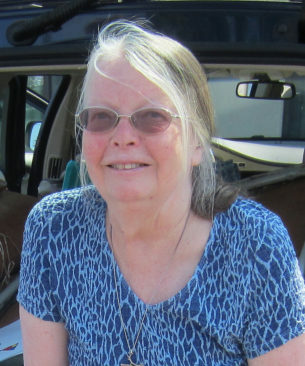 Always interested in her roots, Ruthanne contributed much to the North American Sami community through her long time connections to Báiki: The International Sami Journal as a writer, researcher, and most excellent proofreader. She also served as a grants writer and administrator for Báiki. She traveled to SÃ¡pmi several times and represented the North American Sami community at the Sami Council in 2006. She was also a representative at the UN Permanent Forum on Indigenous Issues. She did extensive and valuable research on the history and genealogy of the members of the Alaskan Sami Reindeer project of 1894 and 1898, as well as researching her own family roots in northern Finland and the Kuusamo area. She did numerous presentations drawing on her well researched and personal knowledge of Sami history and culture. Ruthanne enthusiastically participated in many North American Sami events in California, the Pacific Northwest, and throughout the Midwest where she was a valued and much loved friend. She felt privileged to be an “Honored Elder” and cared deeply for her friends and colleagues.